LightForce is proud to unveil the newly designed LightForce FXi. 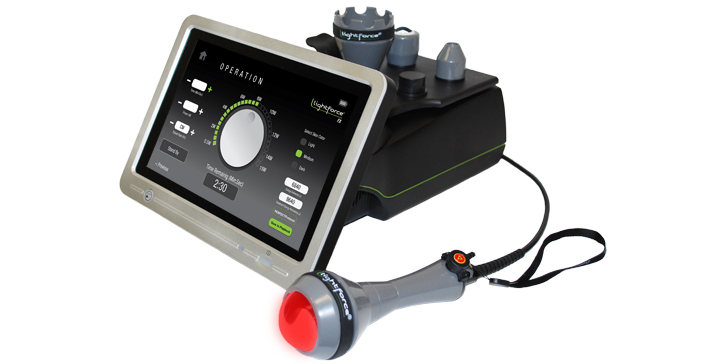 This popular laser therapy system comes equipped with industry-leading influence® technology, a comprehensive 2-year warranty, long-life battery operation, and comprehensive training resources. Consistentinfluence Technology enables you to deliver the same effective treatment every time. Easily save and repeat treatments with confidence.